The below linked video says it all. It isn’t as though the threat pesticides represent aren’t known, nor the extent that global governments have failed miserably in addressing them as they pander to corporations like Monsanto. As the dialogue heats up in this country about health care and the current administration callously removes regulations the question that should be asked is isn’t prevention equally as important as access to treatment? Or should we all adopt a position of it’s alright to poison us and our children as long as there’s a doctor around? The water you drink, the air you breathe, the land, and what you consume is being systematically poisoned for no other reason that profit. Don’t you think it times to say enough and act like you mean it? Monsanto and the FDA bringing you a better world at times ably assisted by the EPA. The problem with government agencies are manifold, a part of which may be under funding, but for the most part it is about the lack of public oversight and their willingness to minimize health threats to mollify corporations like Monsanto. Now everybody understands that toxic agents created to kill weeds are just that, toxic and poisonous, and to say levels of exposure are acceptable never addresses the real threat of the affects of cumulative exposure or an extended period of time. 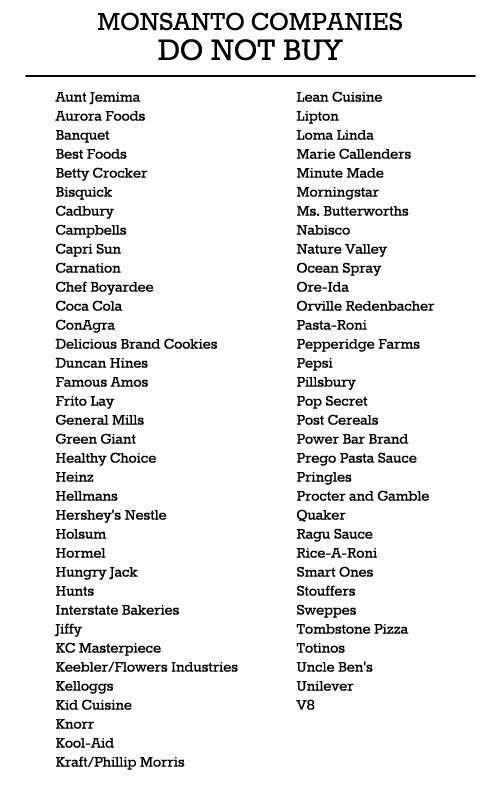 Monsanto is a juggernaut that doesn’t a damn about any of that – they could care less if bees die, honey is chemically tainted, or your cereal and food glow in the dark. For the EPA to characterize the presence of glyphosate as a “technical violation” they’re not willing to pursue on the basis it’s “almost” non toxic to humans and animals would be funny if the truth weren’t a different matter. Governments across the world and even school districts are moving to ban it’s usage and you can be sure Monsanto will launch a battery of attorneys to contest this through any and every means at their disposal. Glyphosate has been shown to create resistance to antibiotics and disrupt hormonal activity, it is a carcinogen and is suspected of playing a role in kidney disease – not to worry though as the EPA considers that to be merely a technical violation rather than a serious threat to you or your children. Sri Lanka has banned Monsantos Roundup for that reason and other nations like Brazil, Mexico, the Netherlands, and Canada are taking a second look. It’s interesting to me that wannabe social activist Bono has partnered with Monsanto to exploit Africa as being about business and a good thing – maybe Bono can haul the band to Sun City in South Africa and do a benefit concert for Monsanto forgetting for the moment that in playing for change that Africa and the “don’t need no more trouble” as Monsanto wages war against humanity. There’s a saying that all things old are new again and that’s true from “fashion” to whatever falls in or out of favor. “Discoveries” of herbal medicinal properties and the indigenous beliefs of conservation and protecting land, the environment, and resources are among the old that are becoming new again. A knowledge and awareness that has brought science into the equation as they advance claims about “discovering” what in many instances was already known but cast aside as science developed their new and improved versions. The onus now is to keep this particular species of squash out of the hands of companies like Monsanto and Bayer. One possible approach might be for the nations to seek a patent, which has been Monsanto and Bayer’s long game. That isn’t to say I’m opposed to sharing, rather making an effort in the midst of sharing to maintain the integrity and avoid commercialization and a hybridization that would turn this species into a GMO. I’m not amazed that eight hundred year old seeds when planted grew, older seeds from around the world have exhibited the same ability, it is life finding a way. A shout out to the “swamp granny” for the heads up.